Imagine getting bit by a mosquito, contracting West Nile virus, ending up in the hospital in a coma for three weeks and waking up to learn that you are paralyzed from the neck down. This shocking turn of events happened to a Denver area man in August 2012. Curt Wolff’s life changed in an instant, all due to a rare outcome of a virus from a mosquito that settled in his spine. Curt was eventually transferred to Craig Hospital for rehabilitation and since his release a few years ago, he’s worked hard to get his core strength back to where he can now sit up and move his head and his hands back and forth, but he’s still unable to lift his hands to feed himself. 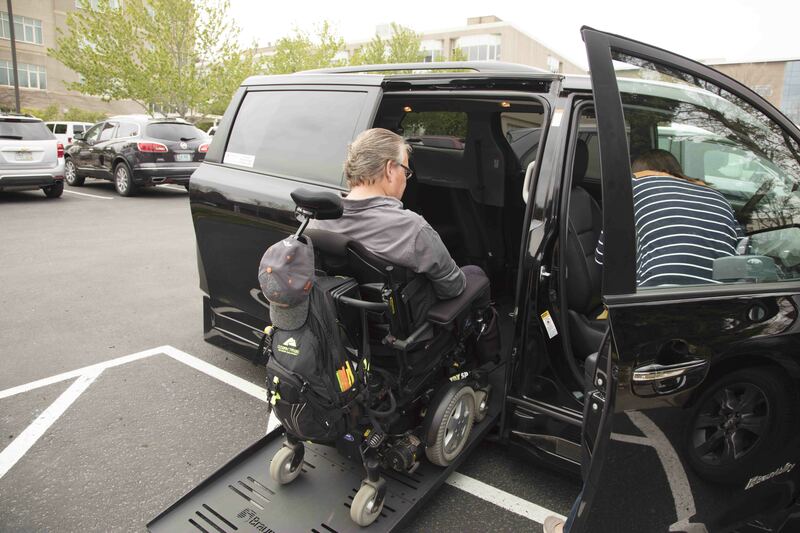 Curt’s official driving evaluation took place in one of Craig’s adaptive vehicles in June of 2016, after he’d obtained a rehab permit though the Colorado Department of Motor Vehicles (DMV). 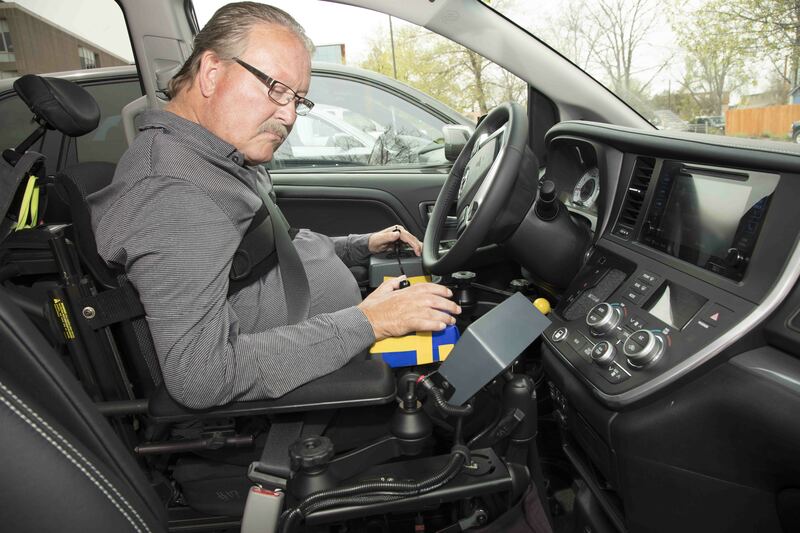 Curt uses specialized adaptive driving technology that allows him to use two joy sticks. One hand controls the turning and one controls gas/accelerator and brake. 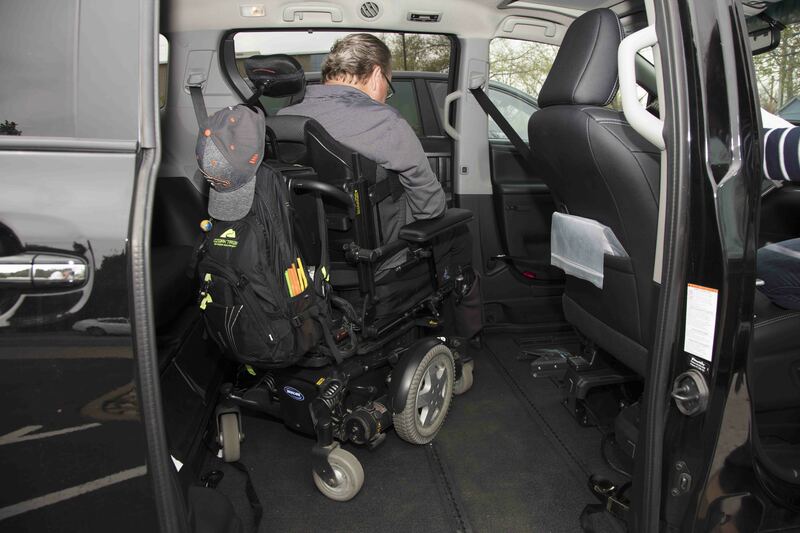 A touch screen allows him to control other functions of the vehicle. On June 14, 2017, two years after he first started to explore driving again, he passed his driving test through the Colorado DMV, and for the first time in nearly five years, he can drive himself. Curt’s high tech set up is extremely complex, but his motivation for gaining back some of the independence he lost is inspirational. He now competes at a national level in wheelchair bowling tournaments and recently testified before a Senate briefing committee on health care. Watch below to see a video of Curt driving! Thank you to these companies who helped make Curt's goal of driving possible!